A Rose with different colors was given specific meanings during the Victorian age. In this era passionate and romantic messages between lovers were interchanged in the form of a Rose bouquet. 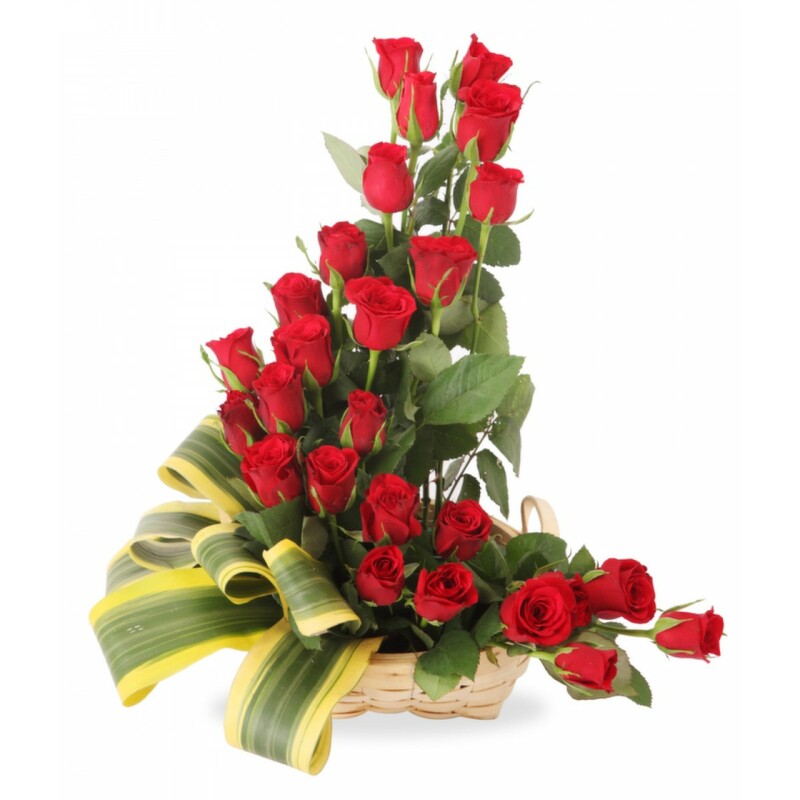 This alluring L shaped bouquet of 26 Red roses adorned with seasonal fillers continues the tradition in present age. Send your message of love with this bouquet.